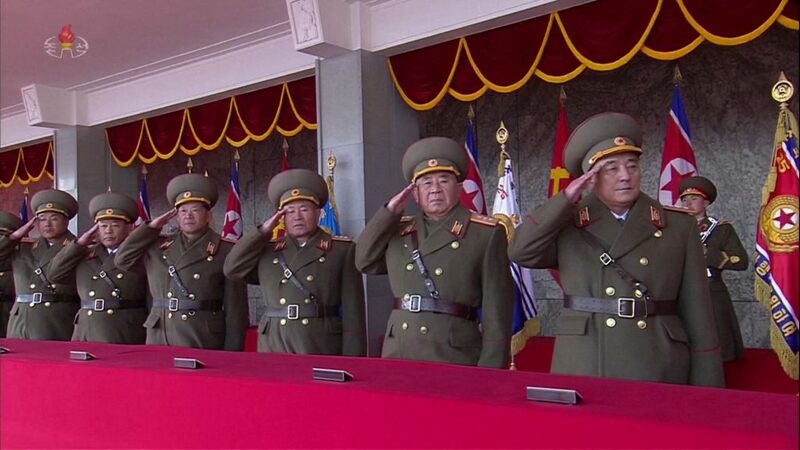 KPA Corps Commanders (and equivalent general-grade officers) salute during the February 8, 2018 military parade in Pyongyang (Photo: KCTV). The Korean People’s Army [KPA] Corps Command (or KPA Corps Commanders) refer to the general-grade officers who serve as commanding officers of the KPA’s Ground Corps and the main Special Operations Forces [SOF] service branch under the KPA General Staff. The Corps Command forms a significant part of the second-tier leadership of North Korea’s armed forces. Subordinate to the KPA General Staff (via the General Staff Operations Bureau) are approximately 17 corps-level units (between 40,000-70,000 troops). Periodically, the KPA reorganizes and restructures its ground forces so certain corps-level units (particularly those categorized as mechanized or armored units) will revert to division-level units, and certain divisions will become corps-level units. In the context of the DPRK’s military leadership, this is a population of about 25 general-grade officers. Corps commanders hold the rank of either three-star Colonel-General (sangjang) or two-star Lieutenant-General (chungjang). During the 1990s and into the late 2000s, corps commanders held the higher Colonel-General rank. From 2012 to 2015, the median rank for corps commanders was Lieutenant General. 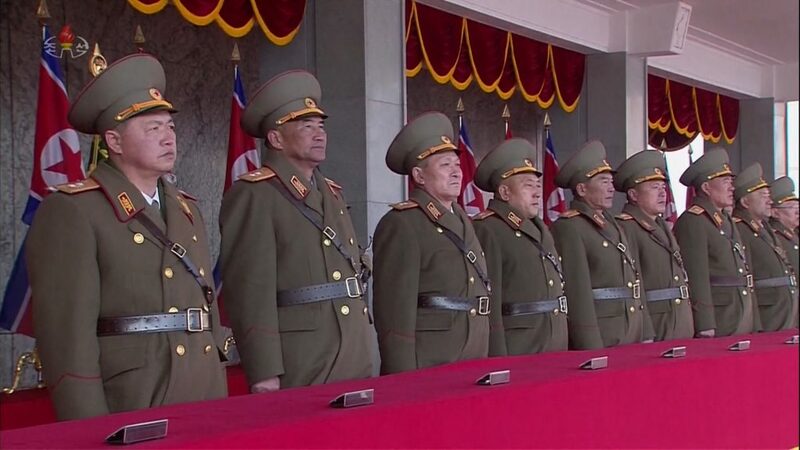 Kim Jong Un subjected several KPA commanders, both corps-level and in the high command, to temporary demotions. During 2016 to 2017, most corps commanders appeared to once again hold the Colonel-General rank, with demoted officers having their ranks restored. The career and education backgrounds of corps commanders are diverse. Corps commanders are educated at Kim Il Sung Military University, the Kang Gon [Kang Ko’n] Officers’ School, the Artillery Officers’ College, the National Defense Academy, etc.. Corps commanders generally have prior, practical command experience either as battalion, brigade or company commanders. However, this can refer to experience in rear service/logistic elements or in military administration. There is some crossover between logistical or administrative officers and military unit commanders, but little crossover (at least as of the late 1980s) between the KPA’s political commissar and officer corps and regular military. KPA Corps Commanders attend the February 8, 2018 military parade marking the KPA’s historical anniversary (Photo: KCTV). The assignment of corps commanders to a specific post is diffuse. Corps commanders will hold command positions in forward-deployed corps, rear corps or even specialized corps command positions (i.e., mechanized corps or tanks corps). Some corps commanders will rotate between forward-deployed units and rear area units. This applies to Col. Gen. Kim Hyong Ryong who served as II Army Corps Commander, but was migrated to command of the IX Army Corps following several incidents along the military demarcation line [MDL]. One common characteristic is that between command assignments, KPA corps commanders attend mandatory periods of education and indoctrination at the Kim Il Sung University of Politics in north-central Pyongyang. The university is subordinate to the KPA General Political Department (General Political Bureau). At the KIS University of Politics, the KPA commander is subject to a debriefing during which they provide information about the job performance and behavior of subordinate command officers, KPA political commissars and their colleagues. They are also subjected to intensive ideological indoctrination and political education and participate in manual labor activities. This usually last approximately 12 weeks (three months), after which the KPA commander is assigned to a new positions. KPA corps commanders will also rotate between high command and field command positions as a matter of routine personnel assignments. Gen. Pyon In Son, for example, served as commander of the VII Army Corps during the early 2000s, then in 2007 was appointed Vice Minister of the People’s Armed Forces. In 2011, Gen. Pyon was appointed commander of the IV Army Corps and then in 2013 became Director of the KPA General Staff Operations Bureau. Another example of this is the late Gen. Kim Myong Guk, one of Kim Jong Il’s closest military advisers; Gen. Kim served as Director of the KPA General Staff Operations Bureau then was appointed commander of the 108th Mechanized Corps and then in 2007 once again became head of the Operations Bureau. In 2009, the late Gen. Kim Kyok Sik migrated from serving as Chief of the KPA General Staff to serving as commander of the IV Army Corps. 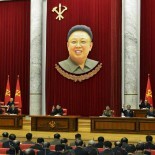 Corps commanders are Members and Alternate (candidate) Members of the Workers’ Party of Korea [WPK] Central Committee. The list of WPK Central Committee Members and Alternate Members published by DPRK state media following the 7th Party Congress in May 2016 included all of the corps commanders. While KPA corps commanders have status in the party, they are not elected or serve as deputies to the Supreme People’s Assembly.